Welcome to the hotel “Sobkoff”! SobkoFF > Rooms > Welcome to the hotel “Sobkoff”! 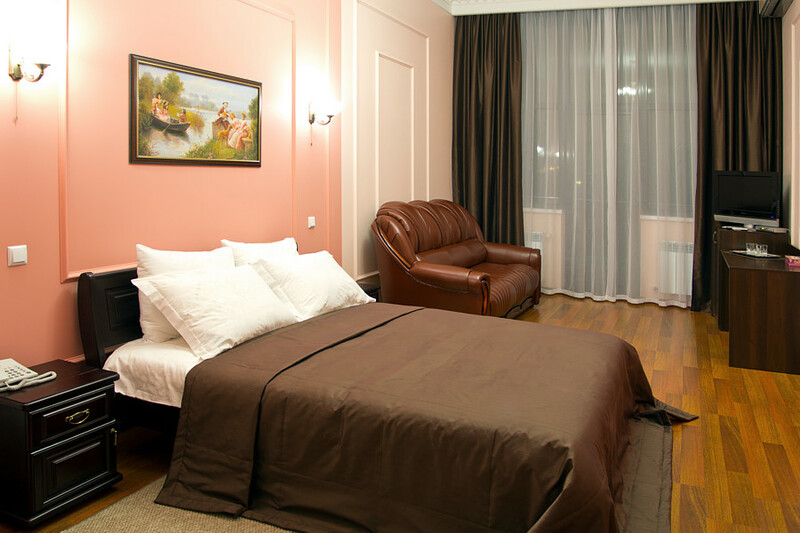 The rooms in the hotel complex “SOBKOFF” is 39 modern, comfortable rooms of various categories: from standard, to an excellent two-room “suite” with a high level of equipment. All rooms have a telephone, air conditioning, TV and refrigerator, equipped with new modern and comfortable furniture. 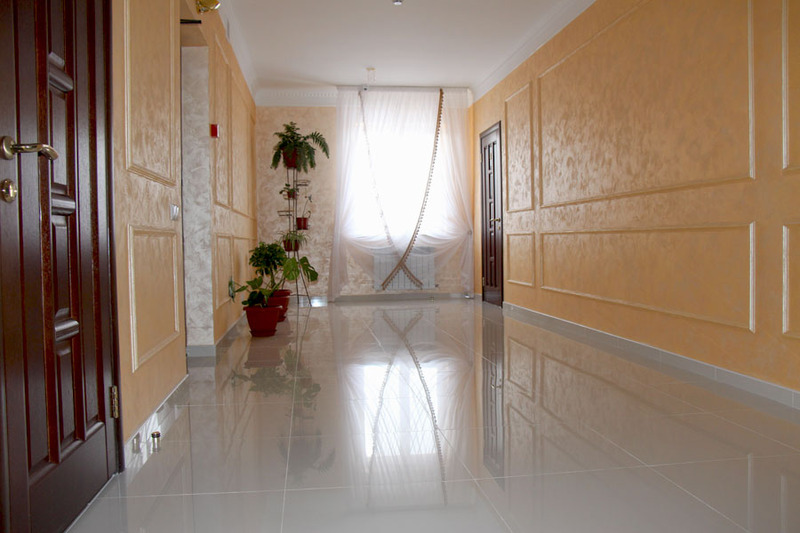 WI-FI INTERNET ON THE WHOLE TERRITORY OF THE COMPLEX IS AVAILABLE AND FREE OF CHARGE. Comfortable modern beds will provide you with a comfortable rest, and the presence of folding sofas will allow you to place additional members of your family. In the rooms of the “Standard” class there is an additional place for a moderate payment. 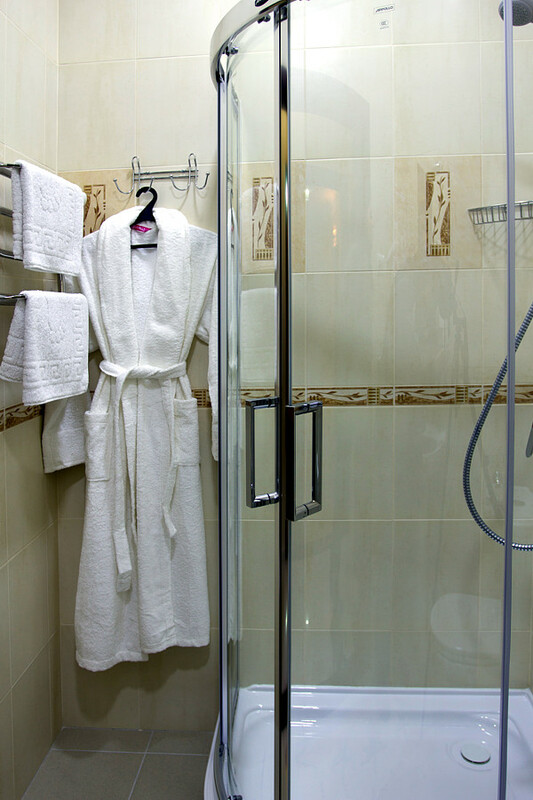 All rooms of our hotel are equipped with comfortable modern shower cabins, hair dryers, have a constantly updated set of hygiene items: soaps, shampoo, toothpaste, gel. Our guests will be pleasantly pleased with sets of delicate bathrobes, bath towels and soft slippers. At your service there is cable TV, which includes several dozen additional programs. The phone in each room allows you to make a call to any room of our hotel, to the bar of our restaurant or to contact the hotel administration. At your request, our staff will order you a taxi at the right time, wake you up at the specified hour, advise on laundry or dry cleaning services. The cost of parking in a guarded parking is 10 UAH per car per day. More details with the price-list of the cost of living in the rooms of our hotel you can find in the section “Prices”. You can pay for accommodation either for cash or by non-cash transfer. We will always be happy to listen to your wishes and suggestions for improving the level of service and comfort of our hotel rooms. We work for you, just to make you comfortable and cozy away from your home. See also sections rooms and prices.